Glass Community Association – Duck Race! The ducks will be launched at 2.30pm from the bridge at the Markie Burn so come along and enjoy the fun! Afterwards tea and cakes will be served in the hall and the winning ducks will be announced! Posted on 09/09/2017 by Glass Community Association. Posted on 18/03/2017 by Glass Community Association. It will be the community AGM on Monday 16th January at 7.30pm in Glass Hall. We hope as many people as possible will attend and support the committee and hear about the hall plans and what the next stages are. We look forward to seeing you at the hall for this meeting. Posted on 09/01/2017 by Glass Community Association. 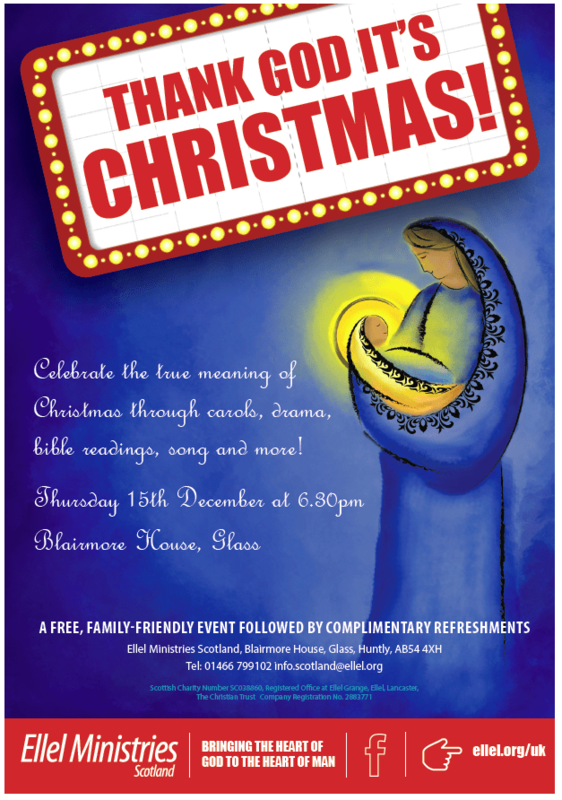 Below you can find details of the Blairmore Carol Service for this year. All are welcome! Posted on 08/12/2016 by Glass Community Association.